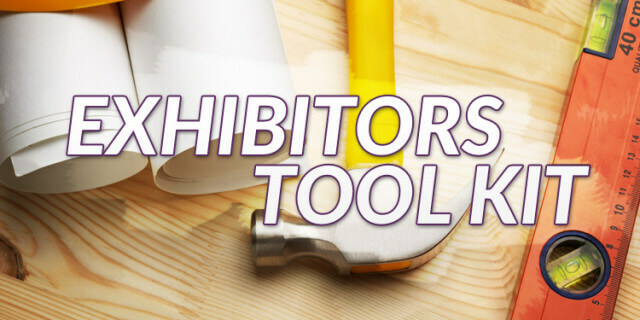 Be prepared for your next event with an Exhibitor’s Tool Kit! Getting ready for an exhibition can be really stressful as there is always so much to do in a relatively short period of time. As a result it is easy to forget to pack a few vital ‘must haves’ to help your event run smoothly. As a follow up to our blog ‘Top Tips for Exhibitors’ we have compiled a list of key items that you may need when on your exhibition stand. Sales presenter (if you use one) – laptop, tablet touch screen computer etc. Cash for drinks, food or entertainment. Many exhibition halls, especially on the continent, do not accept cards. A small first aid kit – paper cuts, broken nails and blisters can cause havoc and misery. A quick note on sockets and appliances – these days, many venues will not allow you to plug anything into a socket that has not been PAT tested, or if you don’t have certification to back this up. We hope that helps you get prepared for your next exhibition. Please remember if you do have a forthcoming event we would love to have a chat with you about how we can help. Please call us on 01543 261220 or send us an email.